When To Hire An Accident Attorney? Auto accidents are very traumatic in themselves. When you top it off with insurance claims and injury settlements while dealing with mental and physical trauma, you get a mixed bucket of tremendous frustration and stress. Personal Injury Law protects your rights as a victim to receive compensation as you deserve. You should get yourself an attorney if any of the following circumstances apply to you. A long-term injury is one that takes a year or more to heal. 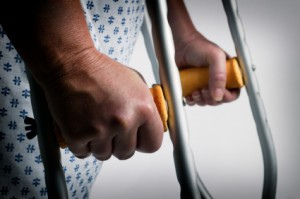 A permanent injury is where you are disabled for life. Proving permanent disability is tricky and your lawyer shall insist on speaking with all you medical consultants. He would recommend a permanent disability case only if he is convinced about winning chances. He might even request them to be present at the hearing. The severity of your injuries depends on a lot of factors. The injuries sustained and length of time it would take for you to recover are among the primary factors. Your cost of medical bills and estimation of future medical bills also contributes to the severity of your injury. Many times you would have the insurance companies disputing claims. This means that the insurance company of the person you were in an accident with is refusing to acknowledge fault placing on their client. A personal injury attorney will help you with paperwork and in all communication with insurance companies. A refusal to pay is an extension of disputed liability wherein the insurance company outright refuses to settle your claim. It is a refusal to pay if an insurance company does not settle for a fair amount as well. This is where an attorney will step in take care of matters. Apart from the above circumstances, personal injury lawyers come with a lot of benefits. They take communication and co-ordination stress away from you. The moment you are in an accident, you would be besieged by calls from the insurance company and other lawyers. By retaining a lawyer you make your life much easier. Auto accident attorneys also come with support staff and experts who would advise you about the compensation amount and type of lawsuit to file.